A coalition of young pastors in Malawi have threatened to drag the government to court to force it arrest 4 000 homosexuals living in northern Malawi’s city of Mzuzu. 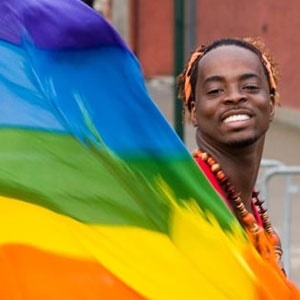 The call comes after a local human rights grouping Centre for the Development of the People (Cedep) has released research findings which indicates that northern Malawi’s city of Mzuzu has a population of 4 000 homosexuals. “We want the group that conducted the survey to present the names of the 4 000 homosexuals to police so that they can be arrested and face prosecution,” argue the pastors in a statement. Reacting to the call, Malawi’s Justice Minister Samuel Tembenu has advised the pastors to concentrate on their work instead of poking their noses into matters of the state. “Let our pastors continue doing their good work of saving lost souls. However, they should let experts in human rights, constitutionalism and law enforcement to do what they are supposed to do,” he said. Centre for the Development of the People (Cedep) executive director Gift Trapence has rubbished such calls as retrogressive. “Such calls are retrogressive considering that government’s moratorium shows government’s commitment to review gay laws. Pastors should remember that we live in a free society. People are free to associate and enjoy human rights,” said Trapence. Religious leaders have been vehemently opposing the relaxation of homosexual laws in Malawi. Recently, the clergy spearheaded the quashing of a government’s moratorium on gays which shielded homosexuals from prosecution. Despite the pastors’ campaign, Malawian government has said it will not arrest or prosecute gay citizens as lawmakers will review existing anti-homosexual laws. Under Malawi laws, convicted homosexuals are jailed for 14 years. Pastors blood boiling hot for clearly what is not their headache. If they're pained and pastors indeed, then it should be their mission to save such lost ones and not call for their imprisonment. Think, what would Jesus do? Condemn as the pharisees do or preach love as he did to sinners he met while he was on earth?